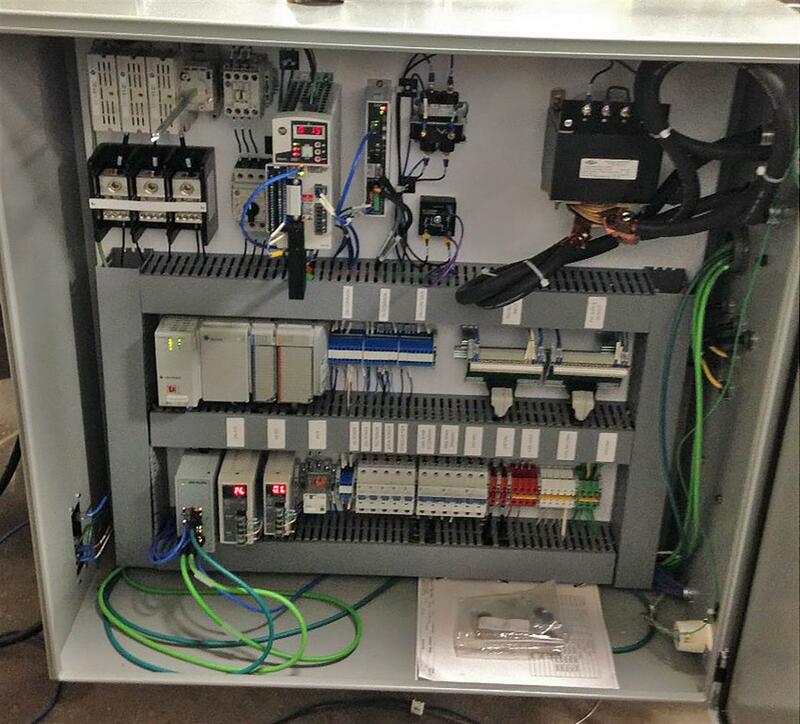 Pre-assemble control cabinet for cable machine. 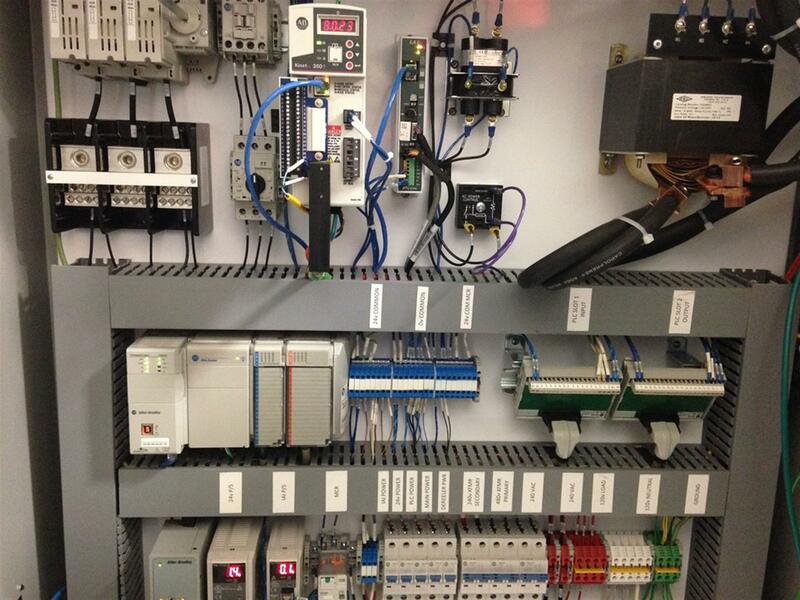 Panel build installation onto existing machine. 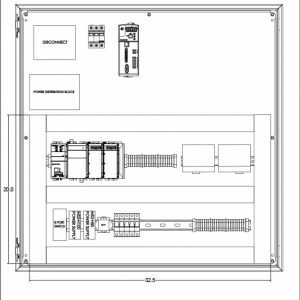 Field wiring was completed by the end customer. 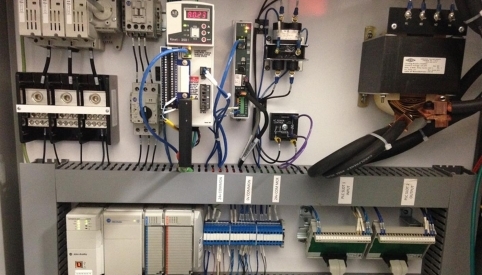 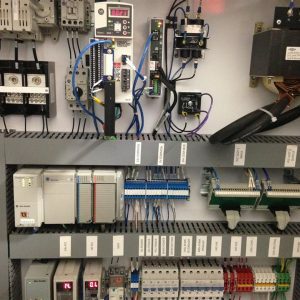 The hardware was Allen Bradley Compactlogix PLC and Kinetix servo drive. 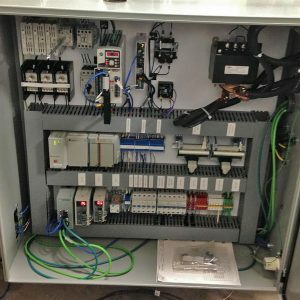 Panel required transformer and switching of high current signals for custom machine function. 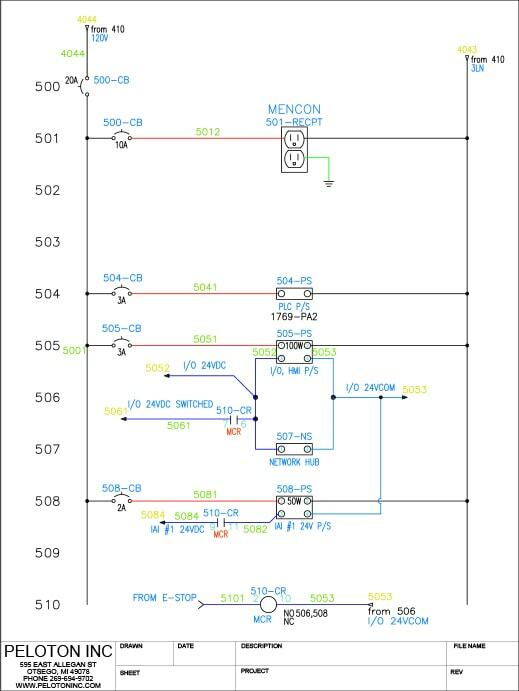 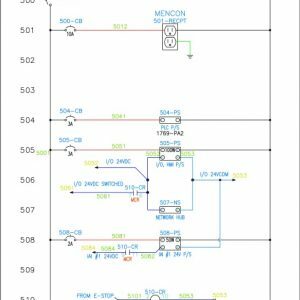 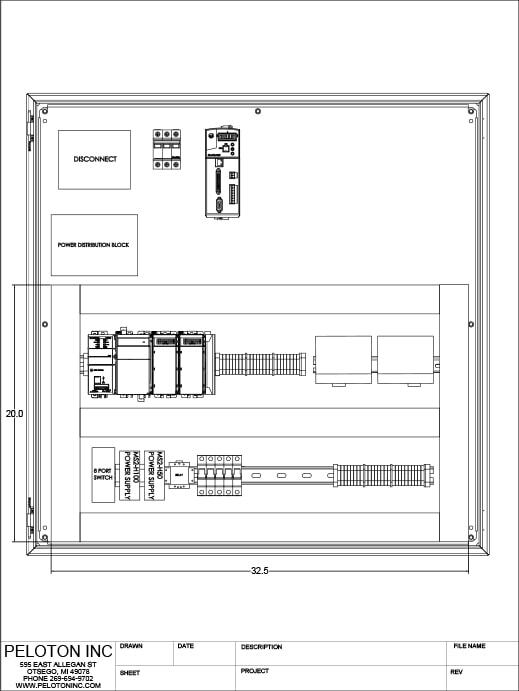 Electrical design and panel layout created in AutoCAD Electrical.